Celebrating art, music and food that will be held in and around Washington Park in downtown Quincy, IL. 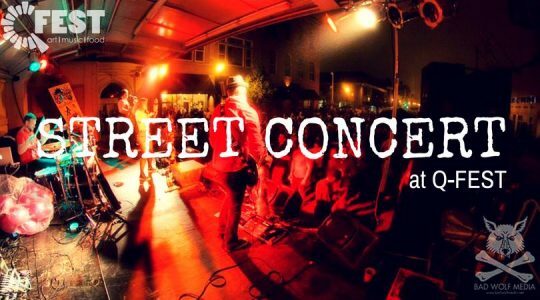 The event features new and familiar artists and activities including a fine and fresh art festival, street concert and Q-FEST Food Court. Q-FEST is a community celebration of the visual, musical and culinary arts in Quincy, IL. Brought to you in partnership with the Quincy Arts Festival (previously Midsummer Arts Faire), Quincy Art Center and The District.